How to add column to view in SharePoint? Browse to your list or library in SharePoint >> Click on the List or Library tab from ribbon. Select the appropriate view from the "Current View" drop-down. Default View gets listed in current view usually. Click on "Modify View" button under "Manage Views" group. In Edit View page, Select the Columns you wish to appear in the particular View. Click OK to save. This adds column to list view. 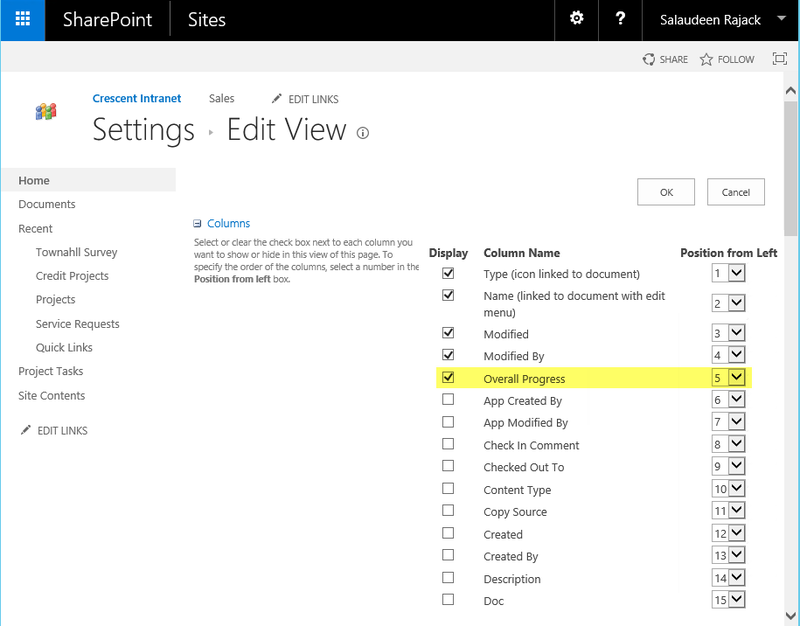 How to add a column to SharePoint list view using PowerShell? Lets programmatically add custom column to view using PowerShell. #Check if view has the specific field already!